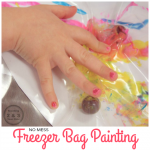 Inside: It’s easy to put together a color mixing activity for toddlers and preschoolers. 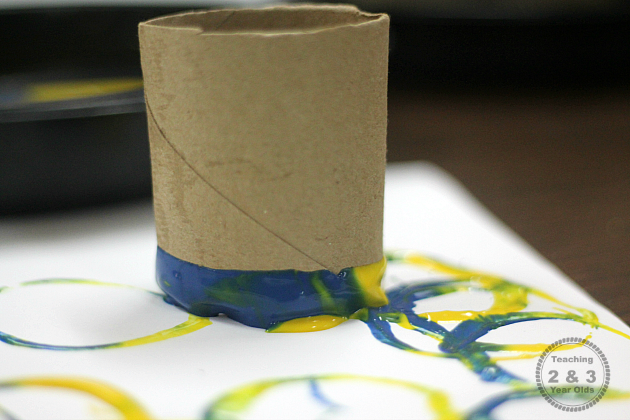 After reading Little Blue and Little Yellow, grab some paper tubes, yellow and blue paint, and let the stamping and mixing begin! Your toddler is starting to identify objects by color, but you aren’t sure where to go from there. They are still busy little people and want to be engaged by actually doing something. 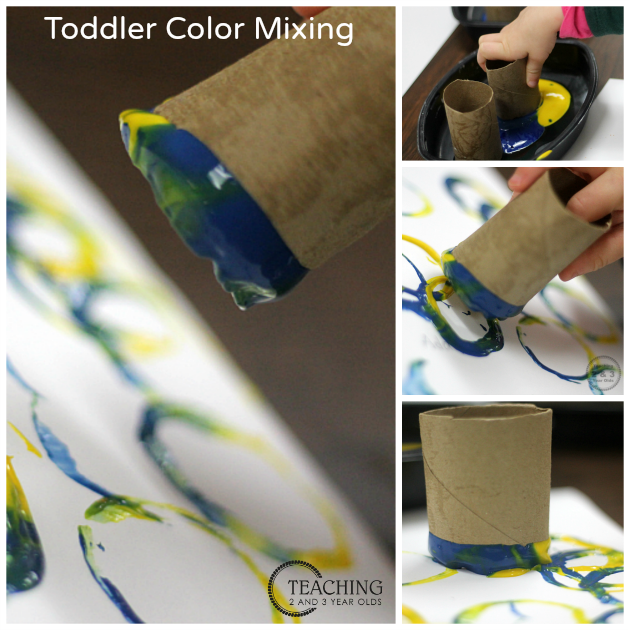 I thought about this as I put together our Little Blue and Little Yellow paint mixing activity. How could I invite them to mix 2 colors in a way that would be fun and engaging? I recalled our circle painting activity. 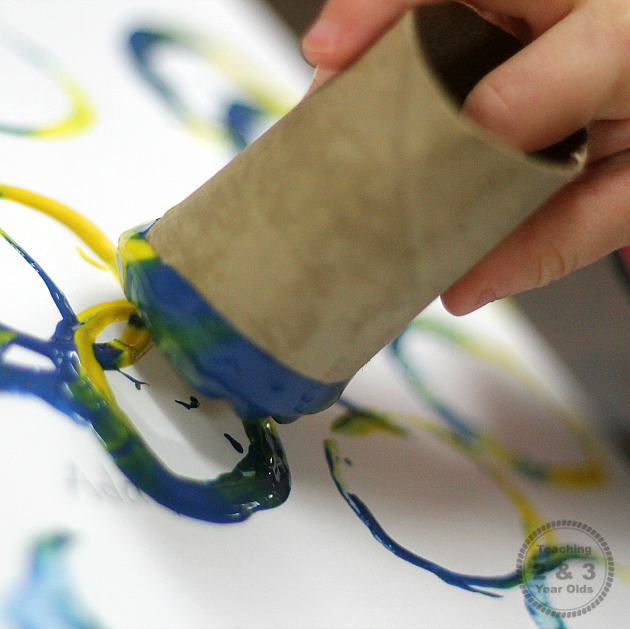 They loved dipping the tubes into paint, stamping them onto the paper, over and over again. Would this work with my Little Blue and Little Yellow idea? I mean, all you need is a paper tube and some paint. Easy! But how would the colors blend to make a third color? During the month of March, we add quite a bit of color activities to our day. 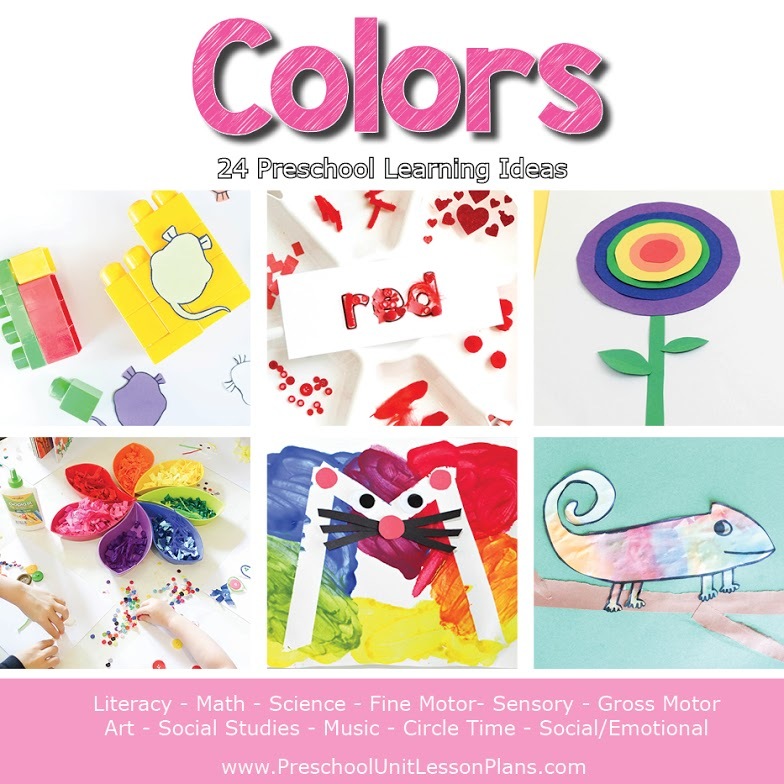 Our featured color is green, so I wanted to come up with an easy color mixing activity to go with one of my favorite books, Little Blue and Little Yellow. Have your materials ready to go. 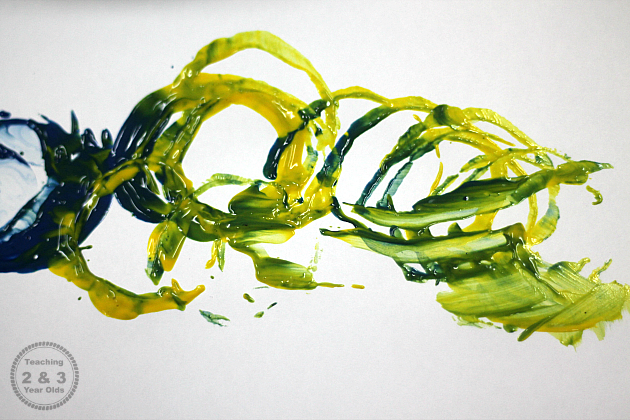 I poured a dollop of blue and a dollop of yellow paint into the same tray. I cut the tubes rather short to discourage those small hands to become a fist around them. Instead, I wanted the hand to open at the top of the tube. Here I go again with my rant about how much I love processed (open-ended) art. The less direction you need to give, the more open-ended it becomes. In fact, I didn’t have to show them anything. 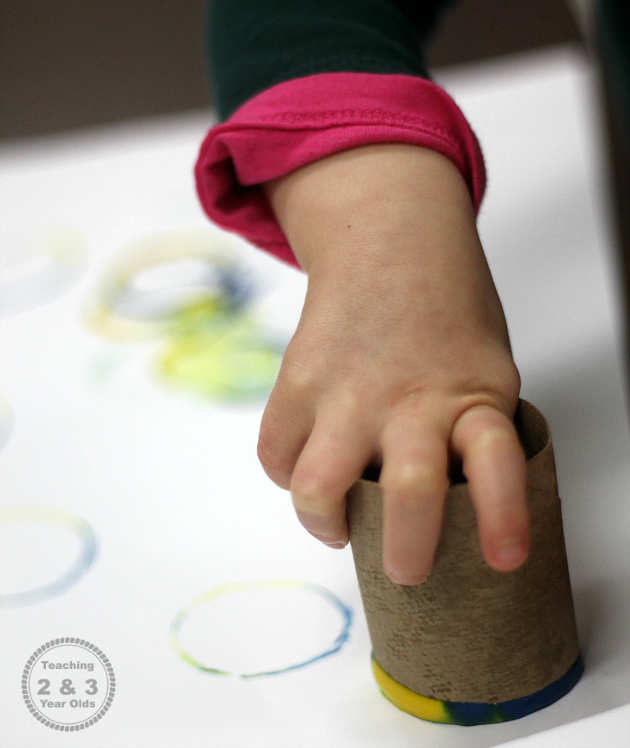 They were curious about the tubes in the paint and wanted to see what happened when they stamped them on the big sheets of white paper. Again. And again. And again! Busy toddlers love these types of activities because there is lots of motion, and even some noise as the tube hits the paper. Let the color mixing begin! The more they stamped the tubes in the paint and then onto the paper, the more the 2 colors mixed. I asked them what colors they saw. They pointed and told me blue, yellow … and green! 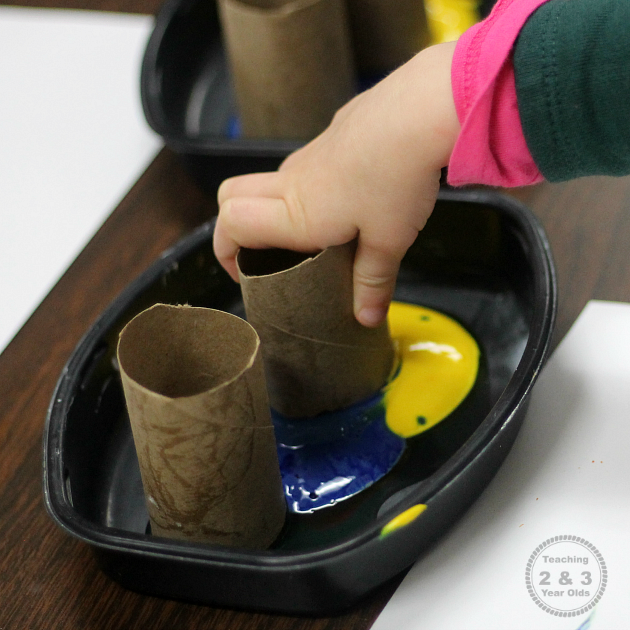 This ended up being a favorite and before our centers time was over, all of the children had experimented with this color mixing activity. 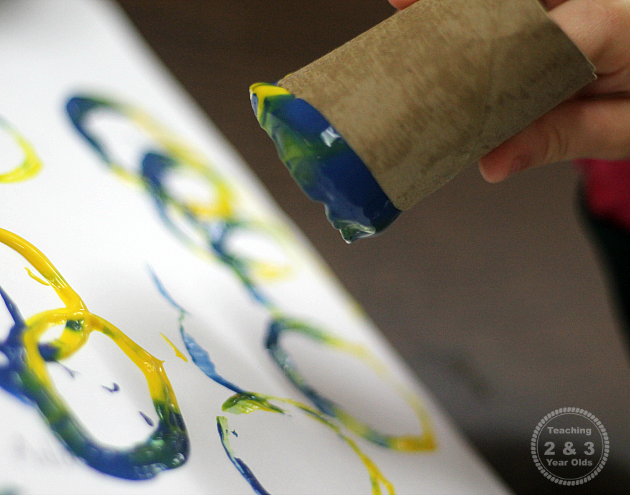 All that fun with a paper tube and some paint. 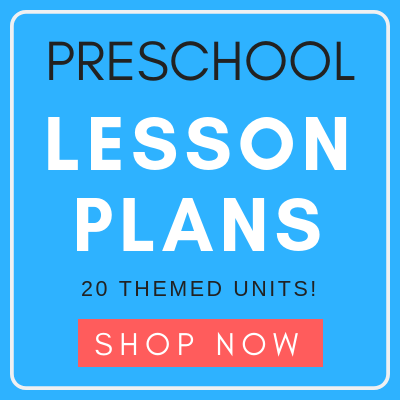 Planning your colors theme? We’ve done the work for you!